You'd think they'd be disappointed. Two years of planning. One year of training. 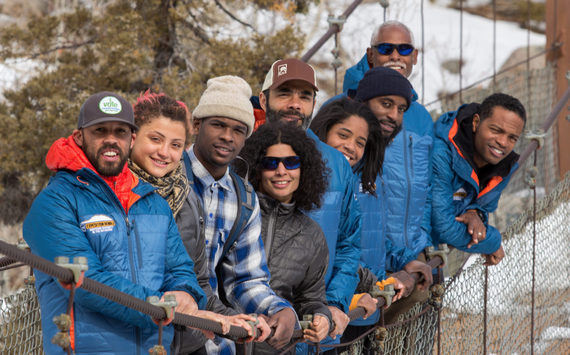 In June, a group of African-Americans set out to climb the highest peak in North America. Less than a thousand feet from the top of 20,320 summit of Mt. McKinley (also known as Denali), the expedition had to turn around. But for Scott Briscoe and Rosemary Saal, two members of the National Outdoor Leadership School (NOLS) team, there was more to their mission than reaching the summit. 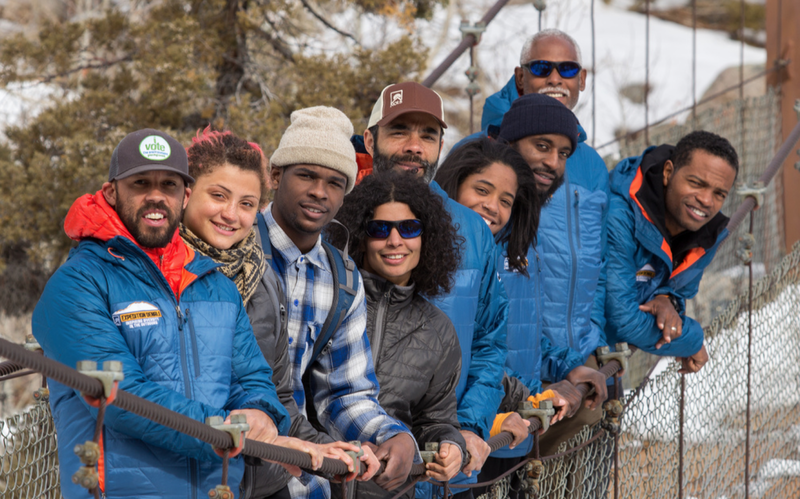 The team's goal: "To inspire youth of color -- and particularly African American youth -- to get outside, get active, and become stewards of our wild places." A film, to debut in the first quarter of 2014, will document their journey. While Briscoe, 41, has done adventure sports for nearly 20 years, he's only been mountaineering for three. "Going in, the intimidation factor was pretty real. Denali was the hardest physical thing I've ever done in my life. But it's so doable. Saal, one of the youngest members of the team, remembers summit day. A climber in the group ahead, having reached the point of exhaustion, was no longer able to move. His team had to carry him down. When an unexpected electrical storm hit, Briscoe says he was ready to turn around at the first thunderclap. "My main concern was the climbing rope. If it got wet, and someone was struck, there was a good chance we'd all get shocked." During the expedition, as part of a campaign to get young Americans moving, the team asked youth everywhere to take 10,000 steps, roughly the equivalent of the summit day trek. When they returned to safe ground, the team turned towards the second part of their journey: an inspiration tour. "You don't have to climb a huge, scary mountain. You can hike, get involved, find opportunities in your community." For Briscoe, the expedition was a success before they stepped on the mountain. They reached a new summit when a group of African-Americans sat down together two years earlier to plan what had never before been done. "Every step on the mountain was just an added bonus. One of my teammates asked me, 'Scott, what do I have to do to get you to the top?' I was already there."